Who are the heroes and villains of craft? Tonight’s topic on #folksyhour was Craft Heroes. We talked about inspiring people, as well what or who is the nemesis of craft. Kirsty Allsopp…I do actually like her- but I really hate how since she started her craft TV programmes/books it’s now incredibly difficult to buy affordable second hand furniture & every market I go to seems to be full of furniture that’s been shoddily painted in that chalk paint, sanded a little & called ‘shabby chic’ so for that- she’s a villain to me. Although I can see why she’d be a hero to others as she has helped people find hobbies/interests they wouldn’t have tried otherwise. That’s a good point, Susannah and it also falls into the “mass produced stuff sold as craft sector” we vilified last night! I expect those bits and pieces of furniture go to a factory somewhere to be quickly sanded and have some paint slapped on…So many jokers out there. The villains for me are people who illegally use other people’s images/creations to sell their work and don’t give a monkeys about copyright laws. If your work isn’t good enough to be able to sell it without using the name of Disney or Star Trek illegally then you’re probably (in my opinion) in the wrong business. The villains to me are the low priced high street shops who encourage throw away fashion and don’t pay their workers/ suppliers enough, it makes the rest of us look over priced (and isn’t very environmentally friendly either). I like Grayson Perry, being different has made him popular. 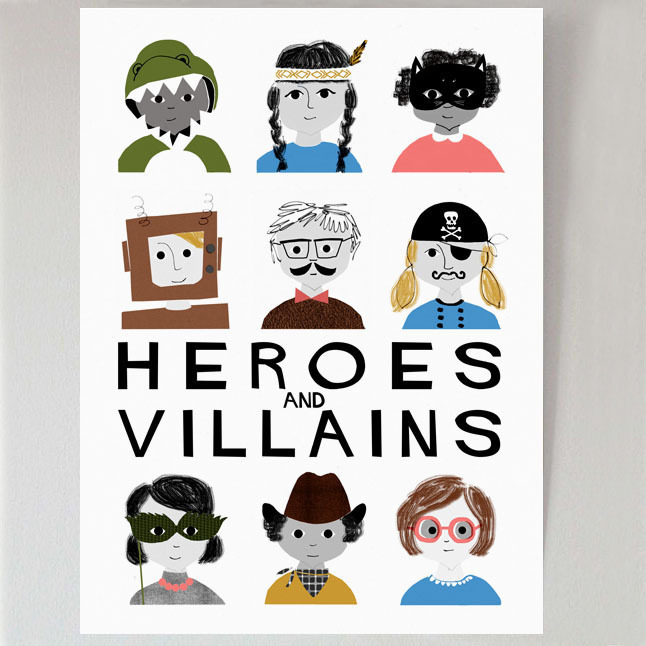 If you missed the #folksyhour discussion about the Heroes and Villains of Craft, Liz @BigBirdLittleBird has written a fab summary of what happened on the Folksy blog. Lots of you are quoted in there too - including @TheOwlery @kathheywood @SallyandtheFreckles @ShirleyRainbow @kezylou @helloDODO. Feel free to share and comment!! Thanks Liz for writing it up so brilliantly, and bringing the chat to everyone who wasn’t there. It would only let me tag 10 people the first time around - sorry!